Not all four sessions have to be pre-scheduled, although creating a massage schedule for your horse, much like farrier visits or chiropractic care, is highly recommended. VIP card follows the horse owner, so owners of multiple horses should really take advantage of this program! 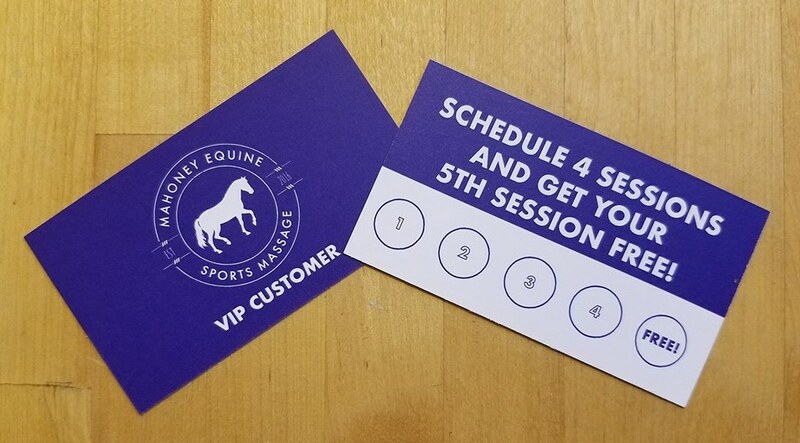 VIP & multi-horse discounts can be combined. 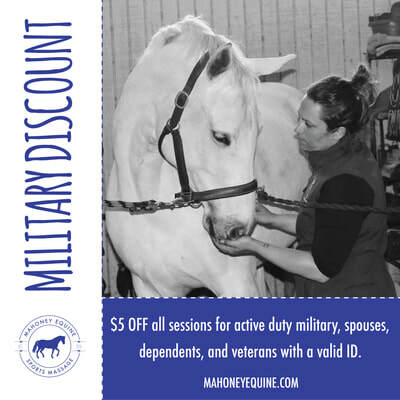 Click here for information on the multi-horse and other discounts offered. 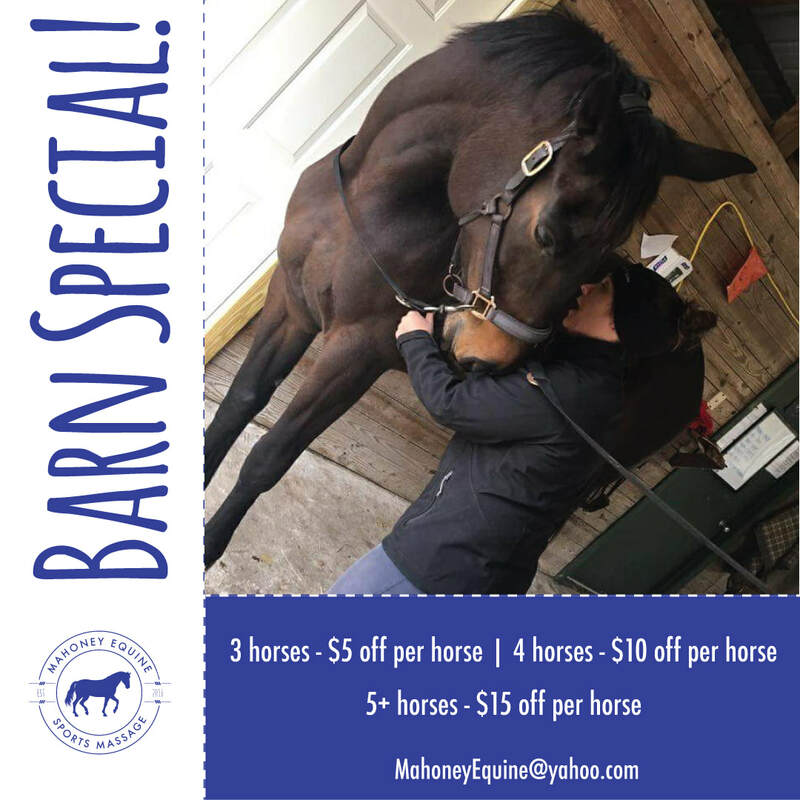 There is no limit to the amount of free fifth massages per client or horse. Only local Coastal Virginia clients are eligible at this time. To be eligible for the multi-horse discount all horses with a scheduled massage must be at the same barn, property or facility. Normal rate: $75 per horse. As a military spouse myself, I know that between PCSing, deployments, underways and work-ups, life can be a bit more challenging than for our civilian counterparts. Add in an equine partner to that mix and life can be somewhat of an organized chaos. 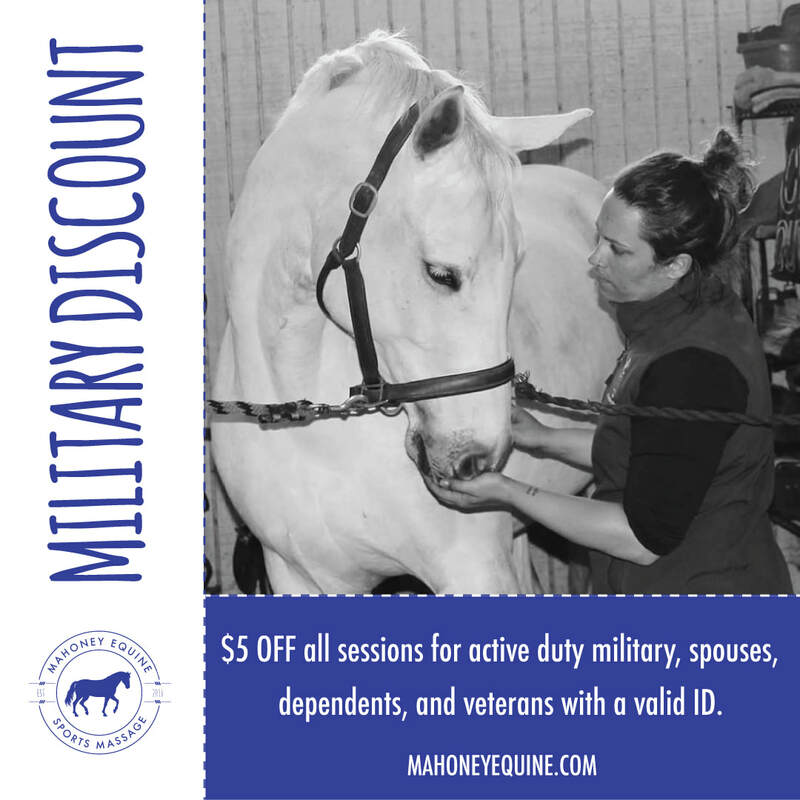 $5 discount for all active duty military, spouses, dependents, and veterans with a valid ID.